Why is Tree Trimming and Pruning Important? ​St. George Tree Service is here to help you keep your trees trimmed and pruned because we want your trees to be at their best and to look their best. Let’s face it Cyprus trees that look like they were put in a blender after a wind storm just don't look as nice as one that is neatly trimmed. Besides looks, there are many trees that require regular trimming to remain their healthiest. A tree will thrive better if it has a smaller number of branches than if it is allowed to grow wild. This is because with a smaller number of branches the tree can more effectively focus its nutrients where they are needed. Focusing nutrients in this way then makes for bigger, stronger branches, instead of the small fragile branches you would otherwise get. 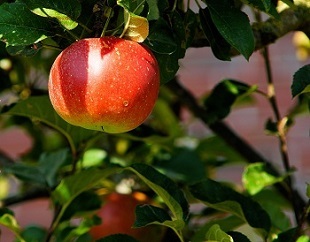 Fruit trees are one example of a tree that needs to be trimmed/ pruned every year. If they are not then they will not be able to produce as much fruit as they would if pruned every year. And if they do produce a lot of fruit without being pruned, the branches will not be strong enough to support it. Trimming is important for many types of trees, not just fruit trees. Pine trees for example need to be trimmed every three years. We also trim trees to remove the dead branches off of a tree. Removing dead branches can help keep other branches from dying. For example, if a branch died of disease then we would want to make sure that the disease did not spread by removing the dead branch. There are also reasons that a tree needs to be trimmed aside from looks and health. One of those reasons is if a tree has come up around power lines. There are laws regulating how close a tree can be to power lines, and you don't want the city to fine you and maybe even take out your tree because it is to close to the power lines. Another reason that a tree may need to be trimmed is because its branches over hang or are to close to your house. This is a reason that your insurance company may insist on. Insurances don't like paying out because a tree branch damaged your roof when it could have reasonably been avoided. Palm trees are one of those types of trees that need regular trimming. With palm trees it becomes quite obvious rather quickly if they have not been trimmed. 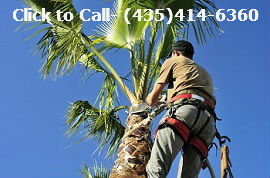 As a companion service to trimming your palm trees we offer palm skinning. Skinning your palm trees is when we remove the stubs of branches previously trimmed. The result of this is the nice smoother bark look that you will often see on the trunk of a palm. Whatever your tree and shrub needs may be, we are here to help. Give us a call today at – (435) 414-6360 and be sure to mention this website. ​Or fill out our free estimate form on this page. We will talk to you soon!